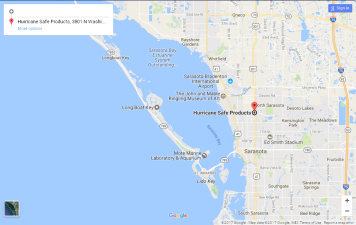 For those who live in Florida, protecting your home from hurricanes is of utmost importance. Hurricane shutters are an easy and relatively inexpensive way to vastly improve the safety of your home during a hurricane. So many different types of hurricane protection exist, but shutters are one of the best ways to ensure that your home stays protected. Many shutters have heat resistant designs to help insulate your home in any event, not just a hurricane. Others strengthen windows by materials like corrugated plastic or aluminum. Although adding new shutters to your windows may seem like a big expense, most options reduce heating and cooling bills by providing insulation. Others can even reduce energy bills by blocking solar rays and keeping in any escaping air.